So was it determined what caused the failure? Also was anyone injured? My first guesses would be either a round stuck in the bore or a bad reload [wrong powder]. 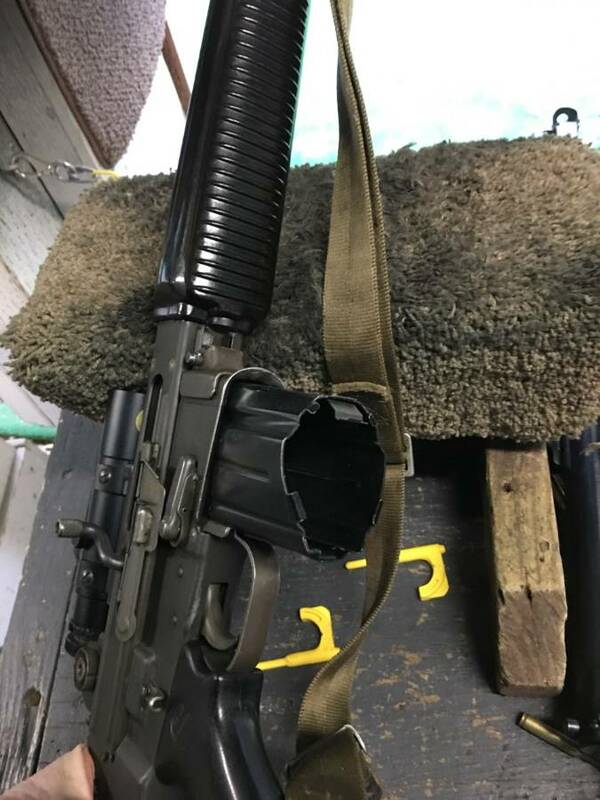 Is the rifle salvageable? 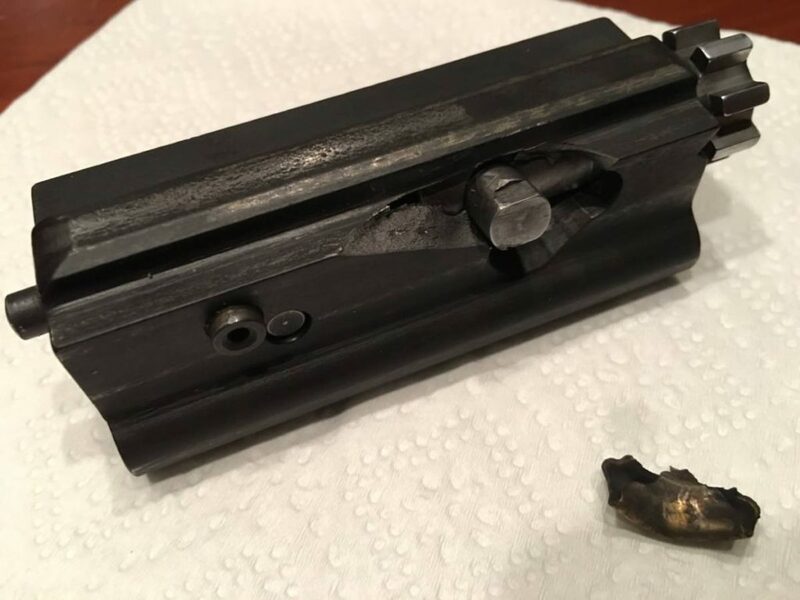 From what I could see only the bolt carrier and the magazine were scrapped out. case head separation causing a bore obstruction. Next round goes into the barrel and is somehow fired without total lockup? Hot gasses forced back and the largest space is through the mag? case rupture for certain or Case head separation how ever you want to define it seems to be cause. 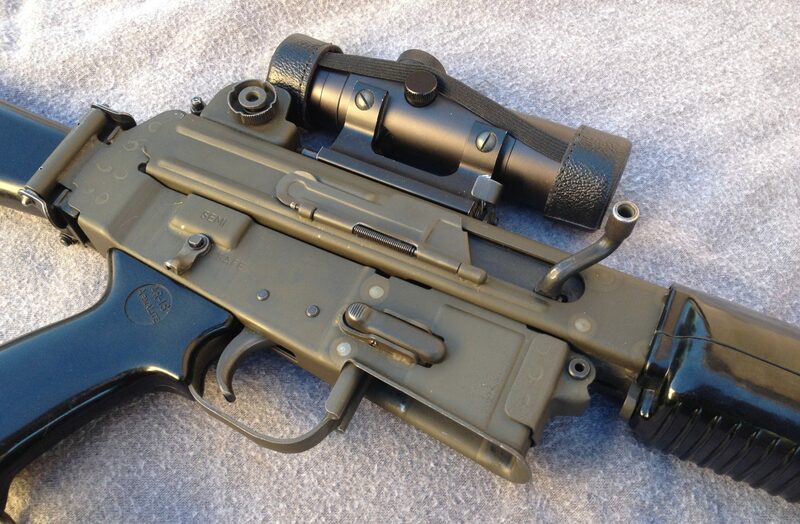 The damage in the upper receiver is due to the bolt slamming backwards after the failure and not before. I have a question on The bolt cam pin. 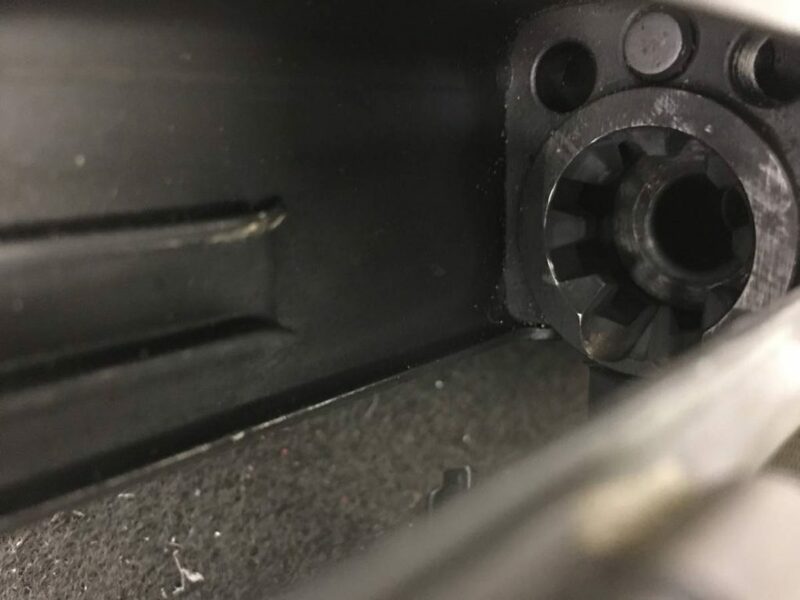 When the bolt is fully locked up how far does the bolt cam guide pin come out of the guide rail? 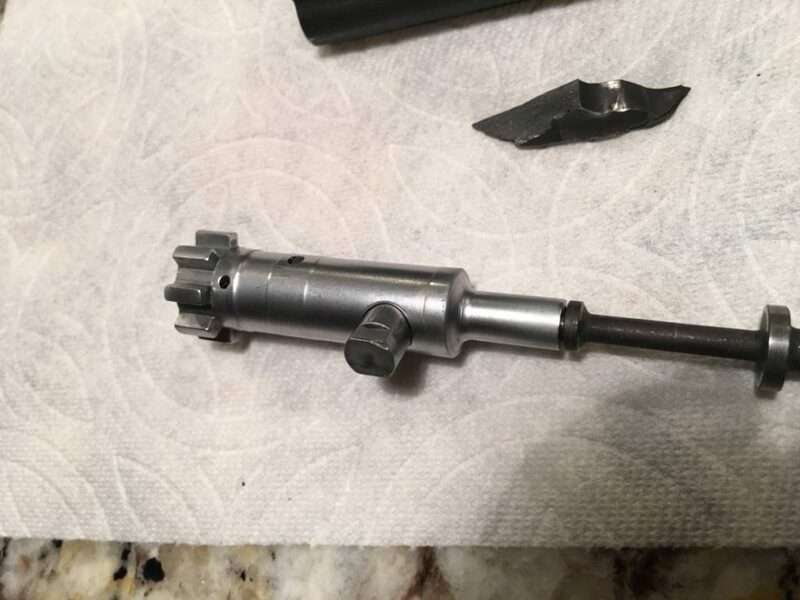 Is there a way to determine timing for the guide rail and pin? 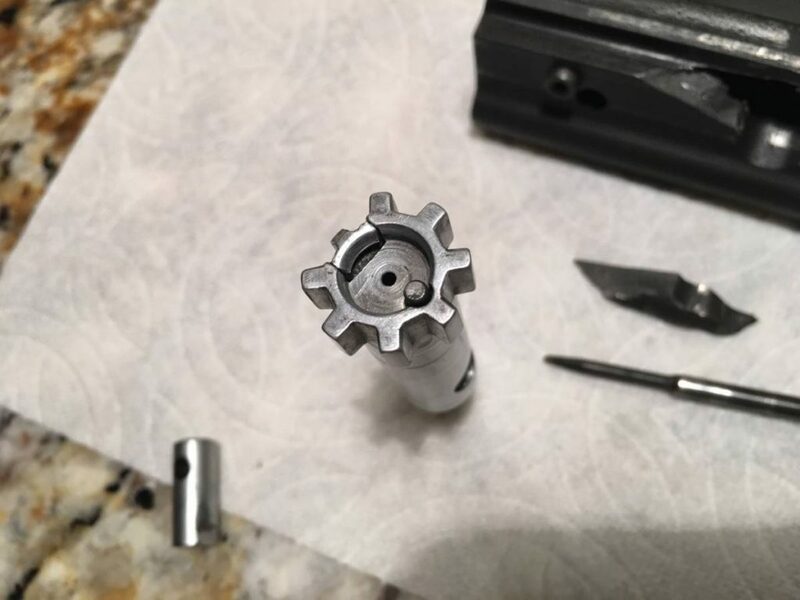 Basically the bolt head should have entered the trunion locking lugs before the cam pin exits the front of the guide rail. 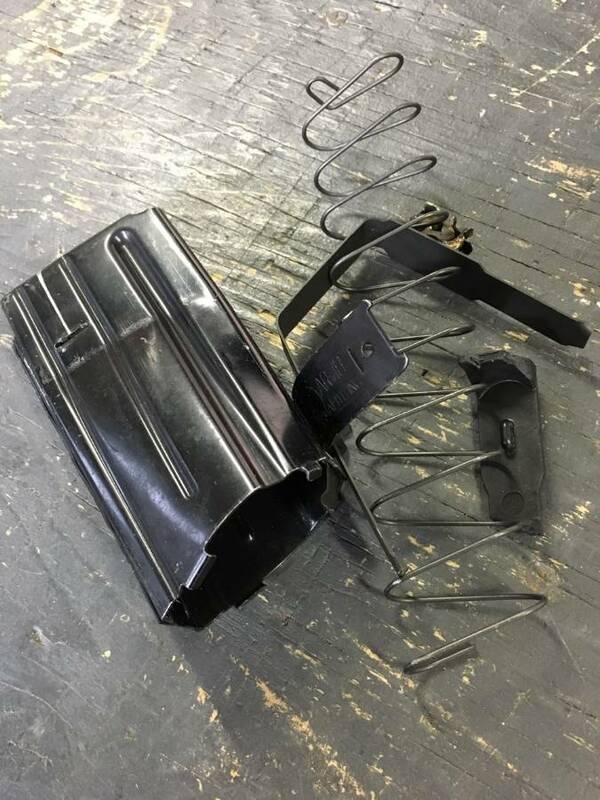 It should fully seat the cartridge into the chamber and only then start to turn to lock up the bolt. 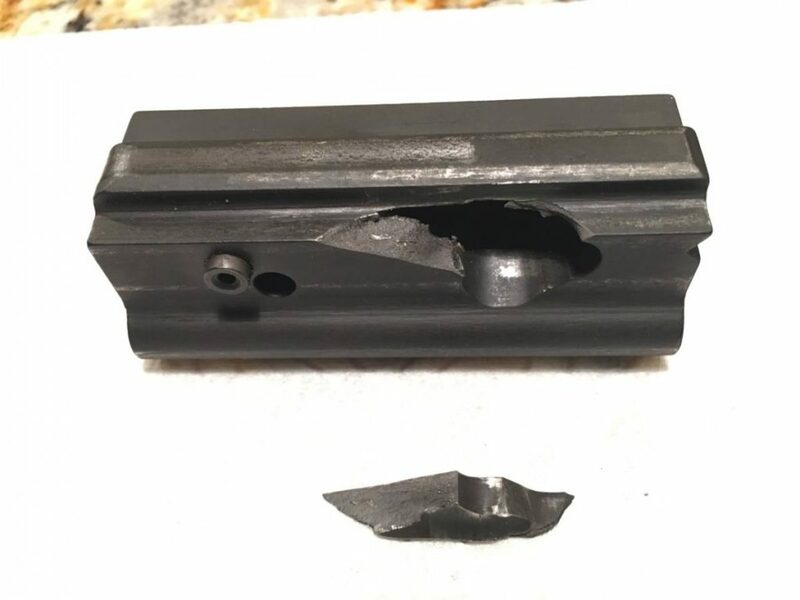 My suspicion on the this malfunction is that the cam pin does not extend far enough into the guide rail and it jumped out before it got to the trunion. 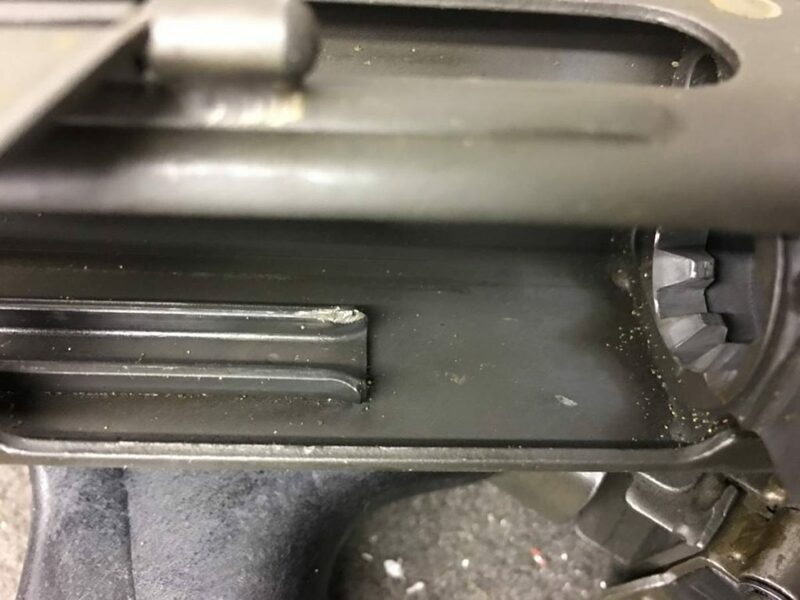 It allowed the bolt carrier to travel all the way forward and turn the bolt but it wasn’t inside the trunion. 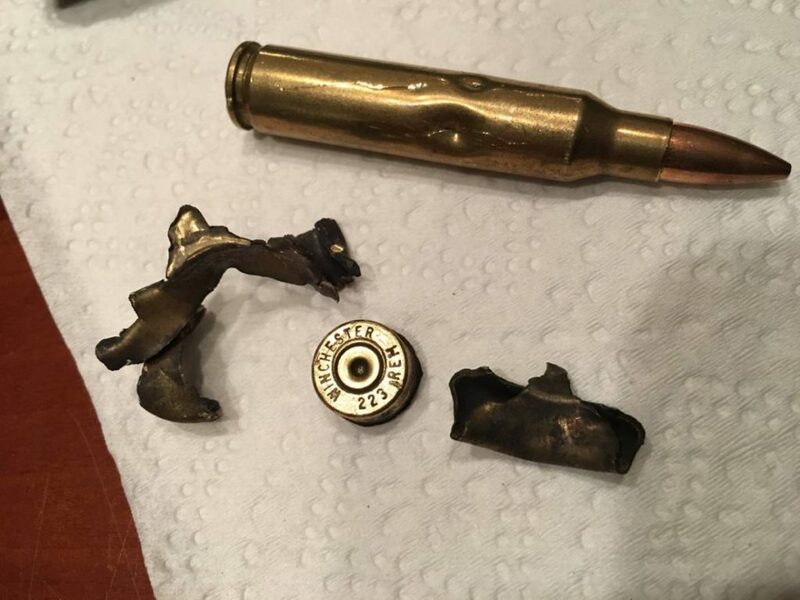 The AR-18 firing pin that these early Costa Mesa AR-180’s used allowed the hammer to strike it with enough force to hit the primer. Carnage ensued.